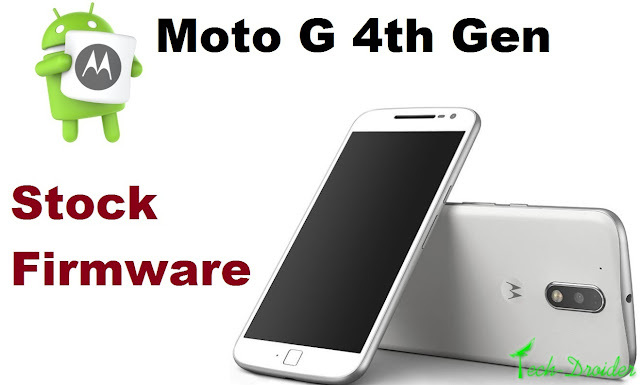 Motorola Moto G 4th Generation comes with Android 6.0.1 Marshmallow and its first firmware is out and you can download it from - Here . I know , The Device is not even launched yet and will be launched on 17th May . But the guide is already here . So , Lets get started ! Firwmares are for XT1641 , XT1643 Moto G 4th Generation . Step 3. Boot the Moto G 4th Generation to fastboot mode by Pressing Both Volume Buttons and the Power button at the same time . Step 4. Connect your Moto G 4th Generation and your Desktop via USB cable .